Developers got what they wanted, but citizens who live in more than two dozen Seattle neighborhoods slated for upzones certainly did not. While the major push comes from developers, others support the proposal, hoping that it will provide for more affordable housing. We agree affordable housing should be a priority for Seattle. And increasing density in the city is an important step toward protecting against significant adverse impacts that are caused by urban sprawl. But the goal of more affordable housing should not blind us to the major problems posed by the current proposal. 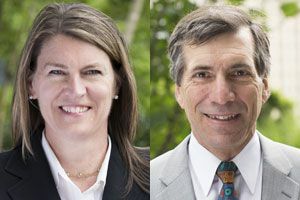 Claudia Newman and David Bricklin are partners at Bricklin & Newman, LLP, a Seattle law firm that focuses on land use and environmental law. 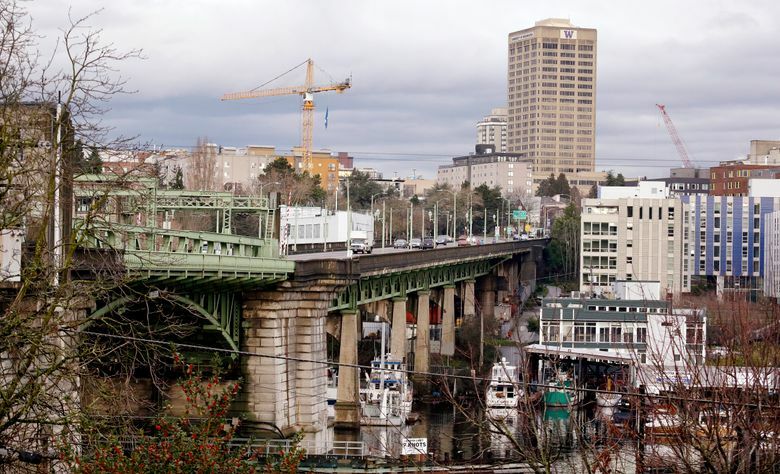 Bricklin & Newman represents the Seattle Coalition for Affordability, Livability, and Equity (SCALE) in the hearing examiner appeal of the Final Environmental Impact Statement for the citywide implementation of the Mandatory Housing Affordability policy. SCALE is an alliance of more than two dozen organizations that represents thousands of Seattle residents. The two of us have more than 60 years of combined experience as land-use lawyers in Washington state. We have fought to increase density within urban areas, to take pressure off rural, agricultural and forested lands. More urban development also allows for greater use of transit, the ability to walk to the store or school, and other steps to reduce greenhouse emissions. But these important goals do not require destroying neighborhoods that have been the hallmark of Seattle’s residential areas for decades. We can achieve both goals. In the same way that we protect wetlands, streams and habitat in the face of increased development, we must also protect our schools, mobility, walking, trees, character and open spaces in the face of increased development in the urban areas. No surprise then that the bargain is grand for developers, but not so good for those who live and work in the neighborhoods. Developers got what they wanted, but citizens who live in these neighborhoods did not. The city paid no attention to ensuring that new density is located in the best places and designed to minimize impacts. The former mayor’s staff did not do a localized assessment of the loss of tree cover, increased traffic, loss of potential parks and open space, and the overall loss of livability in each neighborhood. Ironically, the not-so-grand bargain is not even going to provide adequate affordable housing in the neighborhoods that need it the most. The bargain allows developers to pay a relatively low fee into a fund to build housing for those with very little income. That means that the affordable housing will not always be coupled with the new development in neighborhoods that need affordable housing. Nor has the city adequately considered the displacement of low-income working people, seniors, people with disabilities and many other vulnerable community members that will occur. Building concentrations of high-cost units will force established low-income residents to move to distant locations, where they become clustered. There is a concerted effort to paint those who are challenging the current plan as rich, elite, white NIMBYs. That is a not-so subtle attempt to delegitimize and demonize a large group of people who do not fit that bill. These groups welcome increased density and support the goal of increased affordable housing. But the city is proposing to increase density in their neighborhoods randomly without the analysis required if we are going to accommodate this new growth gracefully. Our new mayor, Jenny Durkan, has a tremendous chance to do this the right way. During the campaign, she committed to address not only the need for more housing, but the need to accommodate growth in a way that minimizes disruption and lost livability in existing neighborhoods. To get it right, Mayor Durkan should order neighborhood-specific environmental review and bottom-up citizen input. We only have one chance to get this right. Without better information, we will almost certainly fail.